Brand New Construction less than 2 blocks from the beach in beautiful Avon by the Sea! North End Builders is a name synonymous with quality, integrity, reliability and outstanding attention to detail. Expertly designed by the renowned M.B. 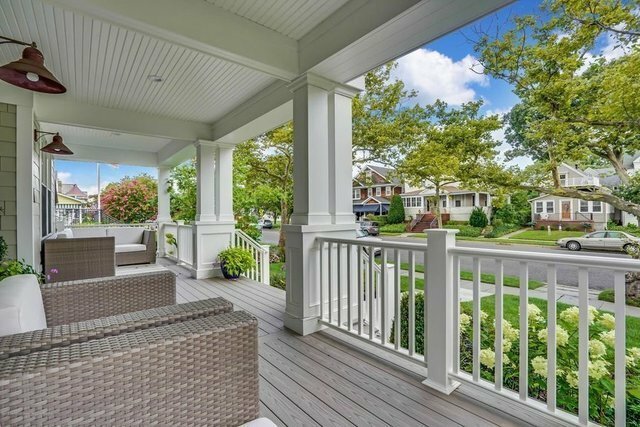 Hearn Architectural firm, this magnificent home welcomes you with a large inviting front covered porch. Once inside, you'll find a true chef's kitchen with a huge island that flows seamlessly into both the Breakfast room and the Family room with fireplace. This gorgeous luxury home is going to make a very big statement in town and will focus on today's best ideas in lifestyle and design See photos of similar home, (same builder). Five Bedrooms, 5 full baths, 2 car garage. No flood insurance required. This is the one!